Beets are a little red nutritional powerhouse. They’re part of a small circle of vegetables that contain a family of phytonutrients called betalains. Betalins have been shown to provide antioxidant, anti-inflammatory, and detoxification properties. In addition to betalains, beets have a host of other nutritive benefits including being a great source for folate, potassium and fiber. The key to maintaining these health benefits, and to remove some of the earthy taste they’re known for, is to avoid overcooking them. A couple minutes under the broiler should do. There’s a lot to be said for beets. Because of their unique mix of nutrients and antioxidants, beets have become the new kale in many people’s dietary playbooks. Beets are considered a superfood. 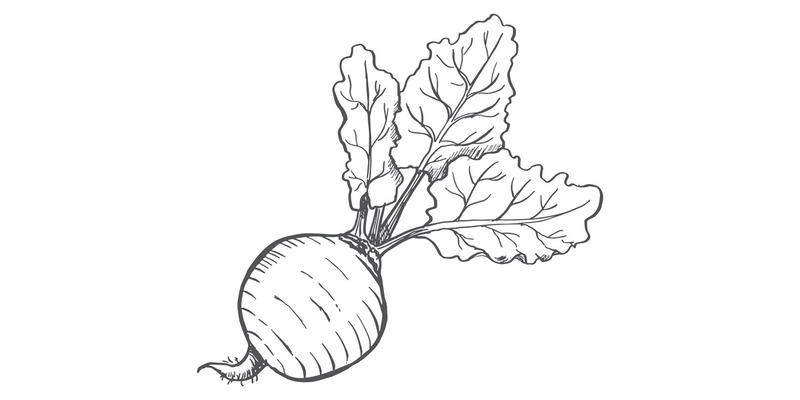 And athletes in particular have taken a shine to this crimson colored root vegetable. Why? Because multiple studies have indicated that eating beets before your work out will actually improve your athletic performance. Just how can beets can make you a better athlete? It’s their special class of natural occurring nitrates. These nitrites alter the amount of oxygen your body’s cells need to sustain moderate activity. The result? You can work out longer and harder, without fatigue setting in. Better circulation, lower blood pressure, and increased brain power are just a few of the long term benefits that occur when the nitrates in beets produce more oxygen in your blood. Our February menu features several beet dishes including our Roasted mixed root vegetables to our Winter quinoa with beet chips. So why don’t you come in, preferably before you hit the gym, and give one of our beet dishes a try.